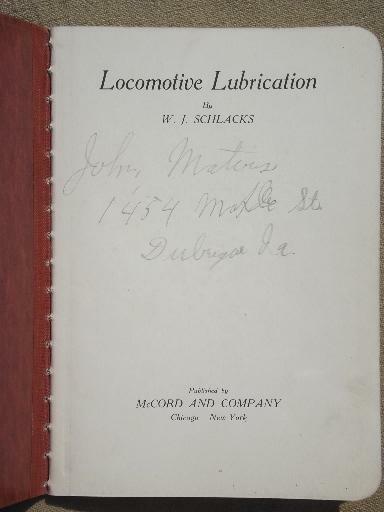 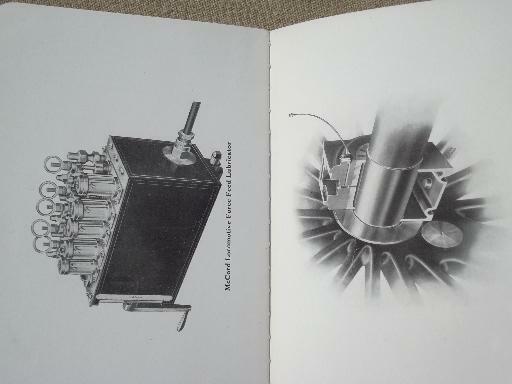 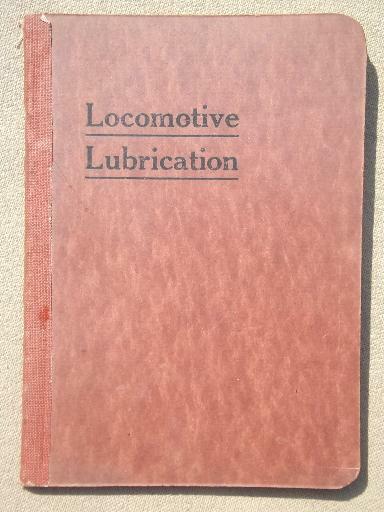 Antique handbook on lubricating railroad locomotives and engines. 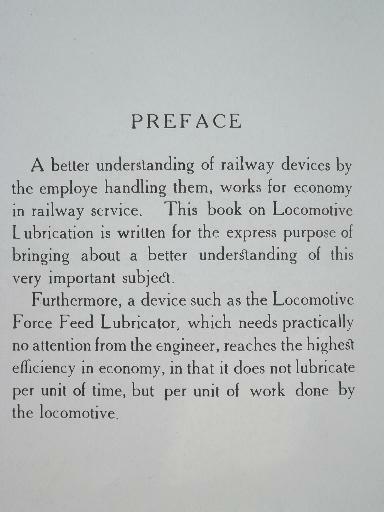 It was published by McCord and Company advertising their McCord and Company Force Feed Lubricator and is dated 1911. 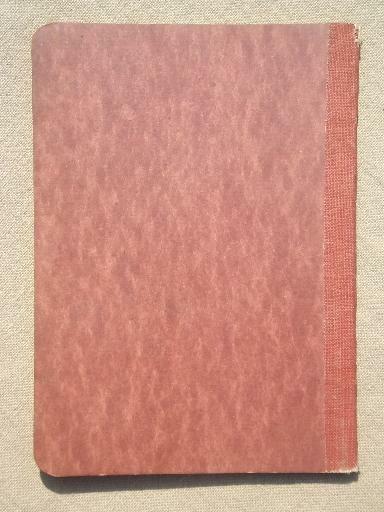 It has 37 pages and has a name and address in pencil inside the cover.